Thousands of members of the Unite union working in the National Health Service are being asked if they will take action, including strike action over a three-year below inflation pay offer. After the ballot closes on 12 November, Unite will have a 28-day 'window' to take action that its members have voted for. Unite's ballot is underpinned by a 95 per cent rejection by its members of the government's unilaterally imposed three-year pay deal, worth in total 7.99 per cent - barely half the current rate of inflation. It is further reinforced by a 75 per cent vote in favour of an industrial action ballot. "Our action will not compromise the care of sick and vulnerable people. Emergency cover will be provided by Unite members at all times during any industrial action as patient and client care is paramount." UNISON, by far the largest union in the NHS helped draw up the deal, and then consulted members on the pay offer without recommending they reject it. So a majority accepted it. 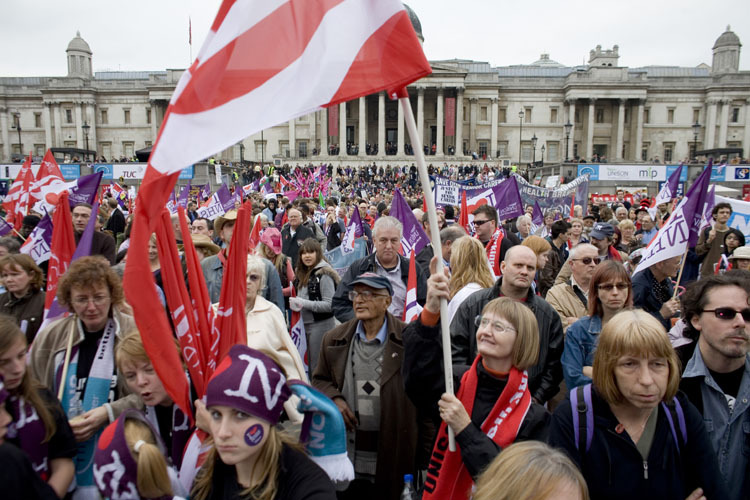 UNISON leaders then began to talk tough saying that as inflation had come up they would seek to reopen negotiations for an increased pay deal, despite the fact that they were already in negotiations and help agreed a pay cuts in the first place. The vast majority of members of the GMB union rejected the pay offer, although the GMB has yet to ballot members on industrial action. Workers have thus been divided up and their collective position drastically weakened.